Medical negligence is a common cause of injury in a hospital. We have written extensively about preventable harm in hospitals, including a recent study that found hospital error to be the most common cause of birth asphyxia. Birth asphyxia can cause a brain injury called hypoxic ischemic encephalopathy (HIE). HIE often results in a child developing lifelong conditions such as cerebral palsy, seizures and developmental delays. Indeed, medical mistakes cause over 400,000 deaths every year and millions of people are severely injured annually as a result of these errors, according to a 2013 study published in the Journal of Patient Safety. Now, there is a “Surgeon Scorecard” online that shows the complication rates of surgeons performing low-risk, common elective procedures. Complications include infections, sepsis and blood clots. Not all surgeons will be pleased seeing their names online with a higher-than-average complication rate. But the model used for the scorecard adjusts the scores based on certain factors that may make a patient high-risk from the outset, such as age and the quality of the hospital. Given the high rate of medical error associated with birth asphyxia, many patient advocates hope to see a similar scorecard for obstetricians. The award-winning birth injury lawyers at Reiter & Walsh ABC Law Centers have helped hundreds of children affected by hypoxic ischemic encephalopathy and cerebral palsy. 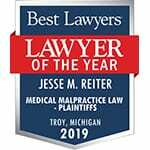 Michigan attorney Jesse Reiter, president of ABC Law Centers, has been focusing solely on birth injury cases for over 28 years, and most of his cases involve hypoxic ischemic encephalopathy (HIE) and cerebral palsy. Partners Jesse Reiter and Rebecca Walsh are currently recognized as two of the best medical malpractice lawyers in America by U.S. News and World Report 2015, which also recognized ABC Law Centers as one of the best medical malpractice law firms in the nation. The attorneys at ABC Law Centers have won numerous awards for their advocacy of children and are members of the Birth Trauma Litigation Group (BTLG) and the Michigan Association for Justice (MAJ). In fact, Jesse is one of only 2 Michigan attorneys to have been elected Chair of the BTLG. If your child experienced a birth injury such as HIE, seizures, cerebral palsy or any other long-term condition, contact Reiter & Walsh today at 888-419-2229. Our award-winning Michigan hypoxic ischemic encephalopathy (HIE) lawyers are available 24/7 to speak with you. One of the most common areas of medical negligence involved in labor and delivery is a failure to quickly deliver the baby when she is experiencing birth asphyxia (oxygen deprivation). As soon as a mother is admitted to the labor and delivery unit, the medical team must attach a fetal heart rate monitor to the mother so the baby’s heart rate can be continuously monitored. Sometimes an internal fetal heart monitor is placed (on the baby’s head) at admission or at a later time. It is crucial for the medical team to pay close attention to the heart tracings. If a baby begins to experience birth asphyxia, the heart tracings will appear “nonreassuring.” When these tracings occur, the baby is considered to be “in distress.” The medical team may try and alleviate distress by performing various maneuvers, such as re-positioning the mother or giving the mother oxygen and / or fluids. However, while these interventions are taking place, preparation for an emergency C-section must be underway in case the baby remains in distress and has to be urgently delivered. Of course, informed consent must be given for every intervention; this means risks of and alternatives to every procedure must be explained to the mother prior to getting her consent. When a baby experiences birth asphyxia for too long, serious brain injury can start to occur. This is why it is crucial for a baby to be quickly delivered when she is in distress. Not only is it the standard of care to continuously monitor a baby’s heart rate during labor and delivery, but if a hospital has a labor and delivery unit, it must have the capacity to perform an emergency C-section when a baby is in trouble. Situations that require a C-section delivery include uterine rupture, vasa previa, cephalopelvic disproportion (CPD) and certain breech presentations. Also, if a baby is experiencing birth asphyxia and a vaginal delivery will not occur right away, a C-section must be performed immediately. Fetal growth restriction / intrauterine growth restriction (IUGR). Babies with IUGR do not tolerate labor well. Traumatic delivery, which can occur when forceps or vacuum extractors are used or when shoulder dystocia occurs (shoulder is trapped behind mother’s pelvis). Stroke around the time of birth (perinatal stroke). The majority of babies with ischemic perinatal stroke develop seizures. As discussed, birth asphyxia can cause brain injury in the baby. In premature babies, the brain injury may be in the form of periventricular leukomalacia (PVL). In term babies, the brain injury is often called hypoxic ischemic encephalopathy (HIE) or neonatal encephalopathy (NE). However, it is possible for premature babies to develop HIE and NE and for term babies to develop PVL. Although the terms are sometimes used interchangeably, hypoxic ischemic encephalopathy (HIE) is actually a subset of neonatal encephalopathy. NE is a broad term used to describe disturbed brain function during the first days of a baby’s life. HIE, birth asphyxia, meningoencephalitis (encephalitis with meningitis), intracranial and extracranial hemorrhages (brain bleeds), stroke, and infection are conditions that can cause encephalopathy in babies, but HIE is by far the most common cause. Encephalopathy is simply a term that means there are signs that the baby has brain swelling caused by an insult to the brain. Neonatal encephalopathy occurs in babies born at or beyond 35 weeks of gestation. The condition is characterized by seizures and a subnormal level of consciousness. Seizures are very common in babies who experienced birth asphyxia and have HIE; thus, continuous or frequent EEG monitoring should occur with any baby suspected of experiencing birth asphyxia. Careful monitoring and testing must also take place with these babies because HIE must be treated within 6 hours of the oxygen-depriving insult / birth asphyxia. This means that treatment must usually be administered within 6 hours of birth. Treatment for hypoxic ischemic encephalopathy is a fairly recent, groundbreaking therapy called hypothermia (brain cooling) treatment. Hypothermia treatment has been shown to halt almost every injurious process that starts to occur when the brain suffers an oxygen-depriving insult. It can prevent permanent brain damage and cerebral palsy, or it can decrease the severity of the CP. When a baby receives hypothermia treatment, she is either placed on a cooling blanket or given a cool cap to wear. Her core body temperature is cooled to a few degrees below normal for 72 hours and then her temperature is slowly raised back to normal. If you are seeking the help of a Michigan hypoxic ischemic encephalopathy (HIE) lawyer, it is very important to choose a lawyer and firm that focus solely on birth injury cases. Reiter & Walsh ABC Law Centers is a national birth injury law firm that has been helping children for almost 3 decades. 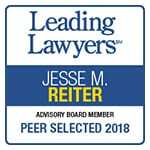 Birth injury lawyer Jesse Reiter, president of the Reiter & Walsh ABC Law Centers, has been focusing solely on birth injury cases for over 28 years, and most of his cases involve HIE and cerebral palsy. Jesse is currently recognized as one of the best medical malpractice lawyers in America by U.S. News and World Report 2015, which also recognized ABC Law Centers as one of the best medical malpractice law firms in the nation. The Michigan hypoxic ischemic encephalopathy (HIE) lawyers at ABC Law Centers have won numerous awards for their advocacy of children and are members of the Birth Trauma Litigation Group (BTLG) and the Michigan Association for Justice (MAJ). If you suspect your child was injured due to medical negligence and she now has cerebral palsy, a seizure disorder or hypoxic ischemic encephalopathy (HIE), the Michigan hypoxic ischemic encephalopathy (HIE) lawyers at ABC Law Centers can help. We have helped children throughout the country obtain compensation for lifelong treatment, therapy and a secure future, and we give personal attention to each child and family we represent. 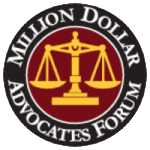 Our nationally recognized law firm has numerous multi-million dollar verdicts and settlements that attest to our success and no fees are ever paid to our firm until we win your case. Email or call Reiter & Walsh ABC Law Centers at 888-419-2229 for a free case evaluation. Our award-winning Michigan hypoxic ischemic encephalopathy (HIE) lawyers are available 24 / 7 to speak with you. Watch a video of Michigan hypoxic ischemic encephalopathy (HIE) lawyers Jesse Reiter & Rebecca Walsh discussing how birth asphyxia and HIE are often caused by medical negligence that includes failure to quickly perform a C-section delivery when the baby is in distress.